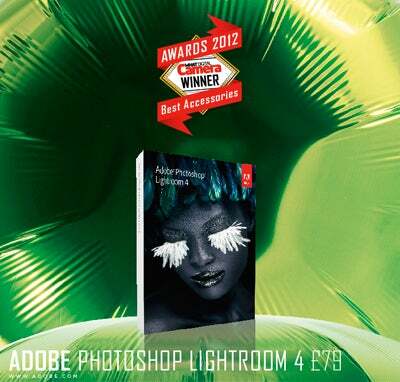 Lightroom 4 offers a comprehensive set of intuitive tools and features to organise and enhance your Raw images. Developments to the Develop module enable you to preserve more dynamic range than ever before and the addition of the Map module lets you organise your images by location. There’s also the option to create a book, produced by the well-known book company, Blurb. More affordable than previous versions of Lightroom, it doesn’t have all the tools you need for advanced imaging tasks but it is superb for developing Raw files, archiving images, making quick edits and exporting your work very easily. This is quite special. The cutaway design makes it lightweight and its Rapid Level System lets you lock the head into the upright position for level horizons. Finally it’s nicely engineered, with big, strong locks and the popular Arca Swiss quick-release plate. Weighing less than 1.2kg and folding down to just under 30cm, it’s a wonder that the UT-43D can still extend to same height as a conventional tripod. Its ball and socket head has a large tripod plate, and it would be great for a travelling photographer. Hähnel’s Tuff TTL flash triggers are durable and robust. The additional strength that’s been applied to the receiver and transmitter make them one of the toughest flash triggers on the market and they’re powered by a pair of AA batteries. While this stylish and discreet bag may appear to be made from canvas it is in fact Lowepro’s custom-milled performance fabric. It can fit a decent amount of kit in it, and, when fully loaded, the strap delivers excellent comfort.